Estelle is known for her eclectic mix of various musical genres including R&B, soul, reggae, grime, hip hop and dance. She has experienced mainstream success with the single "American Boy" featuring Kanye West, reaching number 1 in the United Kingdom, and her collaboration with David Guetta in "One Love". Estelle has released several critically acclaimed records and received a Grammy Award. She has collaborated with artists including John Legend, Robin Thicke, Rick Ross, Chris Brown, will.i.am, Kanye West and De La Soul. Since 2013, she voices the fictional character Garnet in the animated TV series Steven Universe, in which she provides the vocals for her character in numerous songs. Ada Vox isn’t messing around. She put judge Katy Perry, and America, on notice: she is in this life to win it! 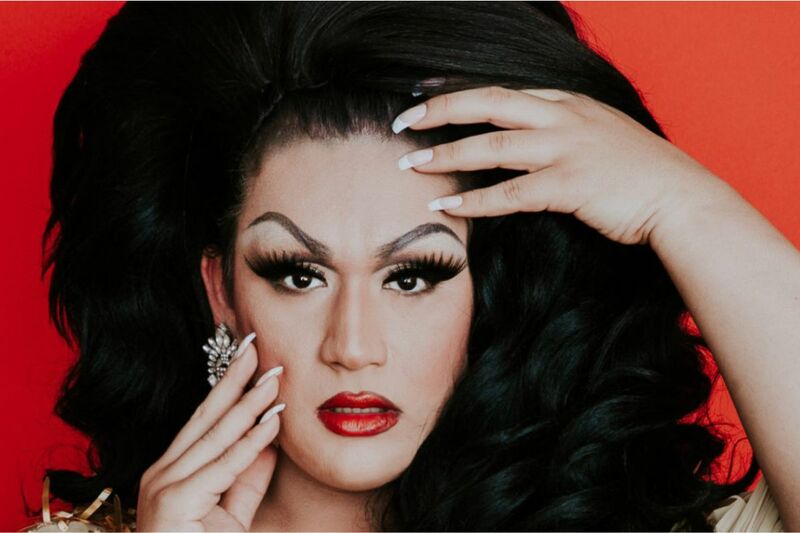 A San Antonio based drag queen who sang her heart out on ABC’s “American Idol,” Ada became a Semi-finalist, something that would have been unheard of several years ago. Her appearance marks a first for the show, and people still talk about her performance of The Animals “House of the Rising Sun” as one of the stand-out auditions of the season. Rewind five years to 2013 when Ada Vox auditioned for Fox’s American Idol back when she was known as Adam Sanders. In one of his Season 12 performances, he got a standing ovation from three of the four judges with his performance of Etta James’s “I’d Rather Go Blind.” Despite this, he not only got eliminated after Hollywood week, but had to endure taunts, teasing and threats from people on social media. Ada revealed on this year’s show that “People attacked my weight, my sexuality, telling me that I was horrible, that I sucked, that I don’t deserve to be here, that I shouldn’t be who I am. And I let it get to me in a wrong way. It killed me inside…I was contemplating lots of things that I shouldn’t have. Ada has released her first single “Because of You” written by Janice Robinson (Kristine W., Deborah Cox) and produced by Bimbo Jones (Rihanna, Kylie Minogue, Lady Gaga). She’s excited to share it with all the people (#Voxies) who embraced her on this go-round of American Idol and to brand new audiences as she continues to tour the globe. Featuring Michael Duane (1st Runner Up, 2018 Voice of Pride) and Alvaro Ramalho (Winner, 2016 Voice of Pride). The ultimate "band for the cool kids." 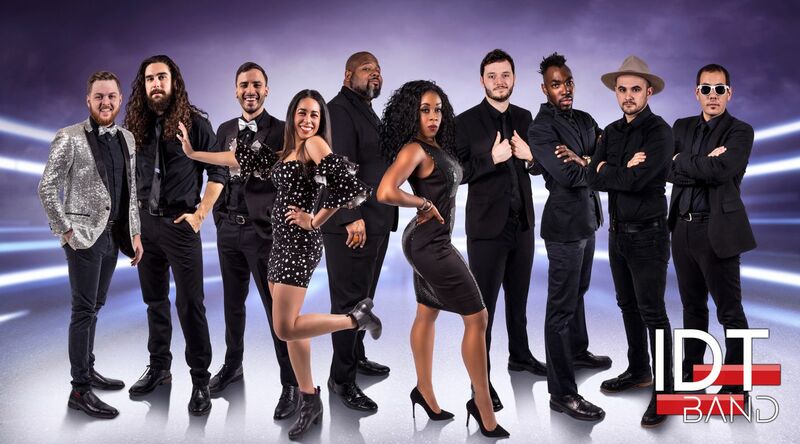 From the beginning, IDT has played by their own rules, and worked hard to deliver a show that is 100% fun and tailored for the millennial crowd, while also delivering an extensive music variety that draws in people from every generation. Known for phenomenal talent, over-the-top interaction, and unique and engaging visuals, IDT Band has inspired hundreds of amazing parties and full dance floors for over 10 years. The best word to describe Dallas band The Hip Van Winkles would be “anachronism.” Like time-travelers emerging from a bygone era, The Hip Van Winkles have arrived to offer a musical experience that has been lost in the digital age. Founded in 2016 by Buffi Jacobs, Dave Pierce, and Bach Norwood, the group aspires to reinvent today’s music with analog authenticity and the exuberance of the jazz age. Stay tuned for the most electrifying entertainment experience since the gramophone! The Roommates are a Dallas-based, all-female indie rock band that burst into the music scene in late 2017. This heavy-hitting quartet leaves nothing on the table, combining powerful vocals and airy guitar solos with emotional and dark undertones, serving the listener a strong dose of tour de force. Believing that music is its own language and emotion, this is no hobby for these ladies, but more so a form of essential life therapy in which they have opened themselves up for others to witness, partake, and share in.